I won a giveaway from A Dip of Darling and Empty Nest on Instagram and I was so excited! 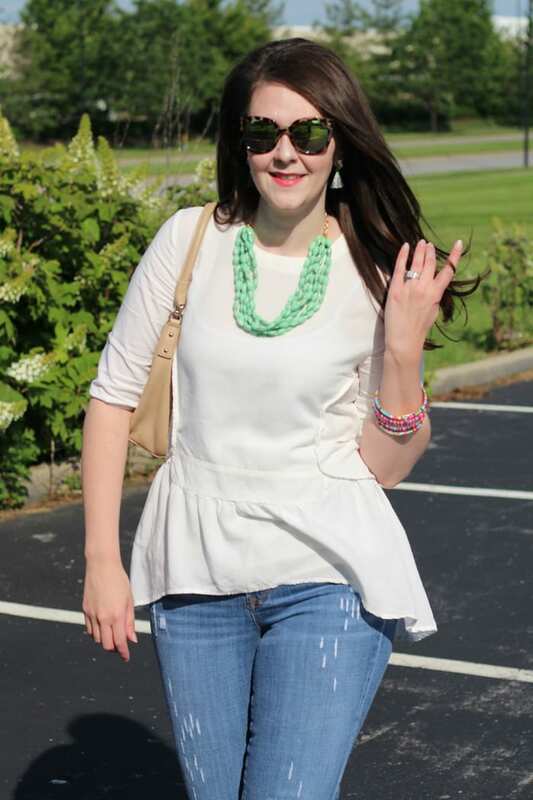 I received the Chloe top and necklace I’m wearing, as well as two other tops. 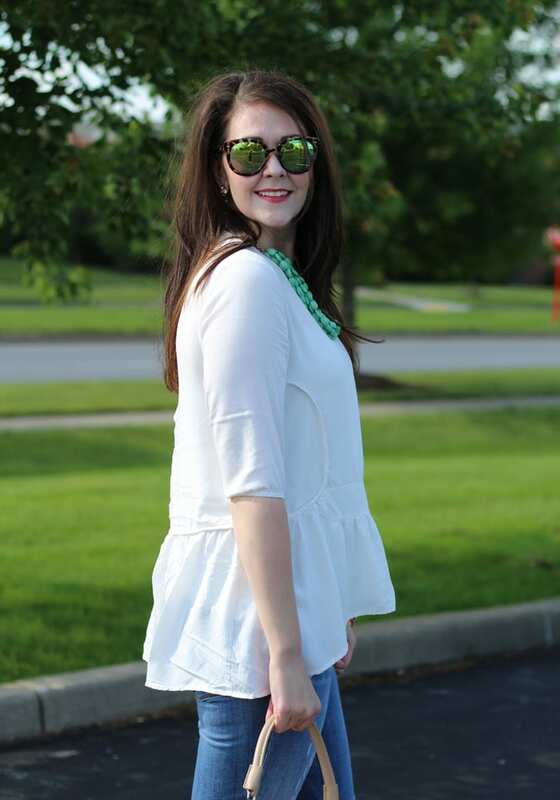 This Chloe top is such a great peplum top. I’m wearing a medium. It was big when I received it, but fit great after it was washed and dried, so keep that in mind when ordering. 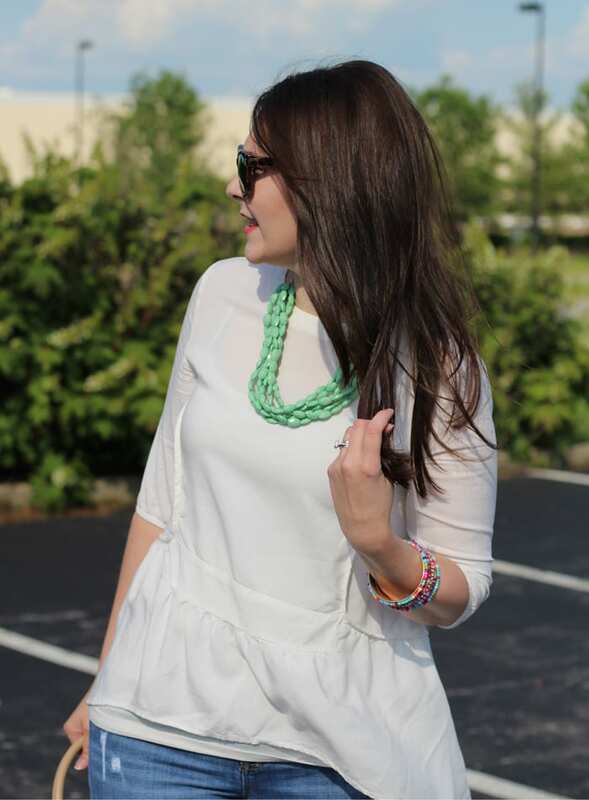 The hemline is high-low, so you can even wear it with leggings. It’s also light-weight, so it will carry you through summer and even into fall. 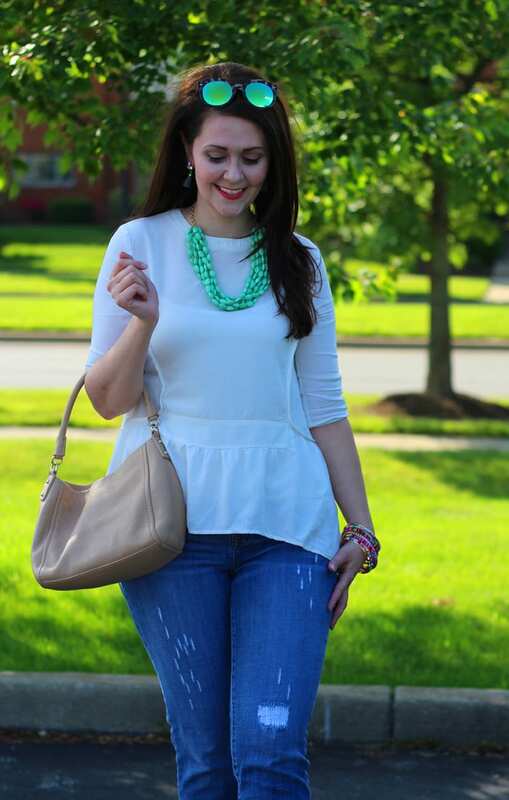 You can get the Chloe top in 4 colors–cream, dusty plum, aqua, and gray. 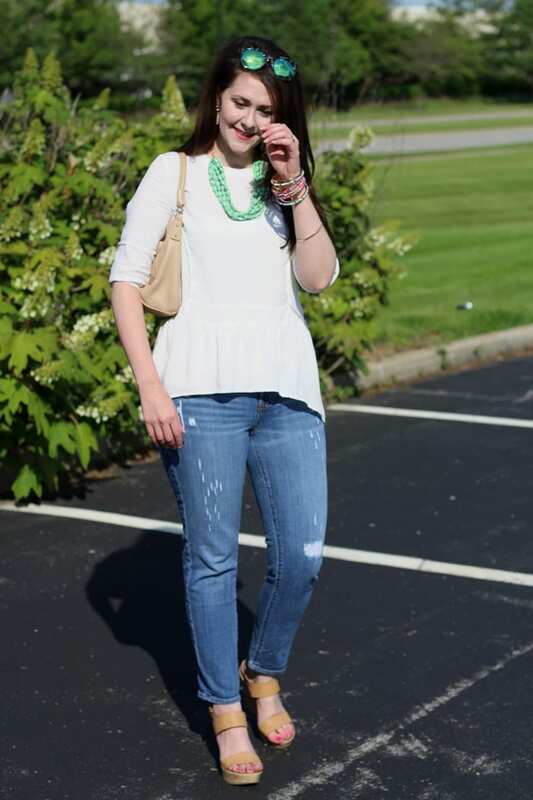 I chose the cream because it’s so versatile and I can see myself wearing it with a lot of different outfits, including a pencil skirt and my favorite skinny black pants. 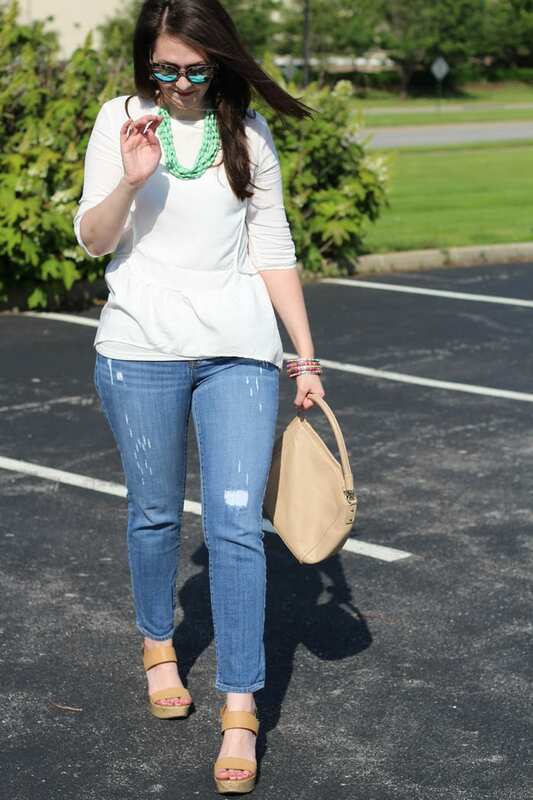 Here, I paired it with distressed denim for a more casual look. 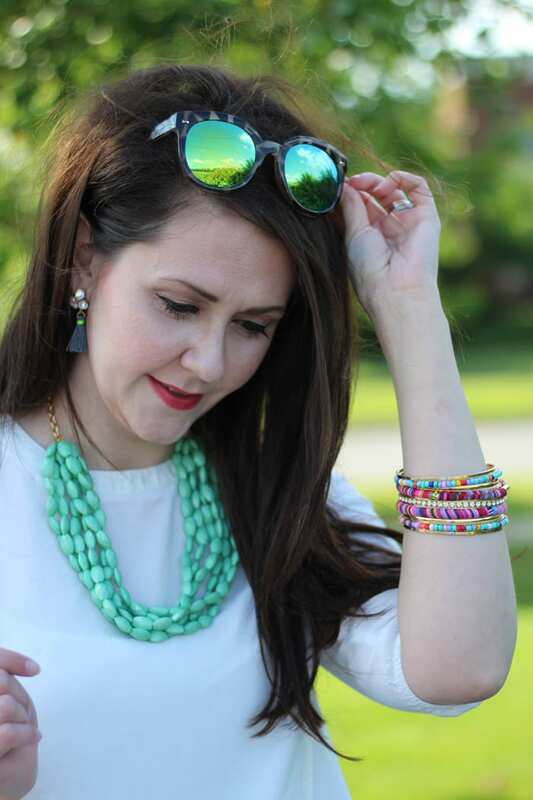 Since this top is like a blank canvas, I just tossed on a bunch of bold accessories. You’ll notice a strong turquoise vibe, though. That’s probably because everything came together around the necklace, which is only $2.99!!! I love it paired with my bracelet set from Purple Peridot. It’s currently sold out but I think it’s expected to be back in stock this week, so keep an eye out for it! As for my earrings, they’re new at J. Crew Factory and I want to wear them every single day. I especially appreciate that they’re not really that heavy. 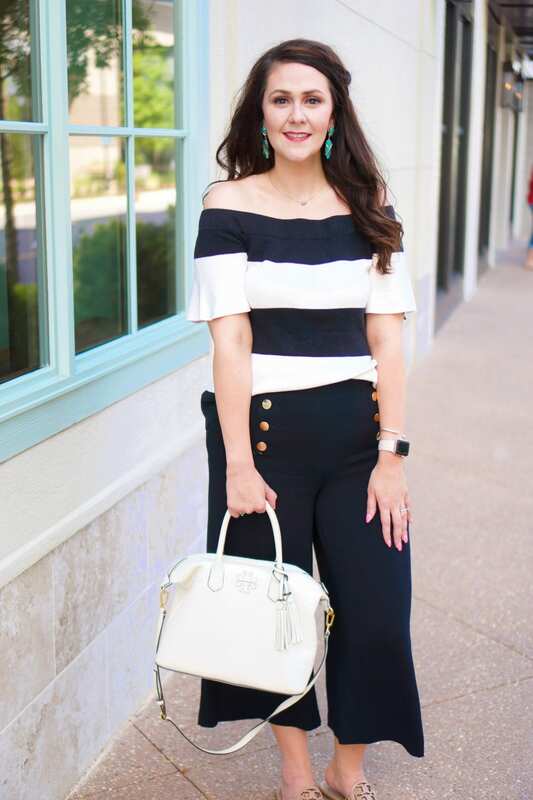 This is such a great outfit to run around for the weekend! The structured top and the destroyed jeans strike the right balance for a dressy yet casual look. 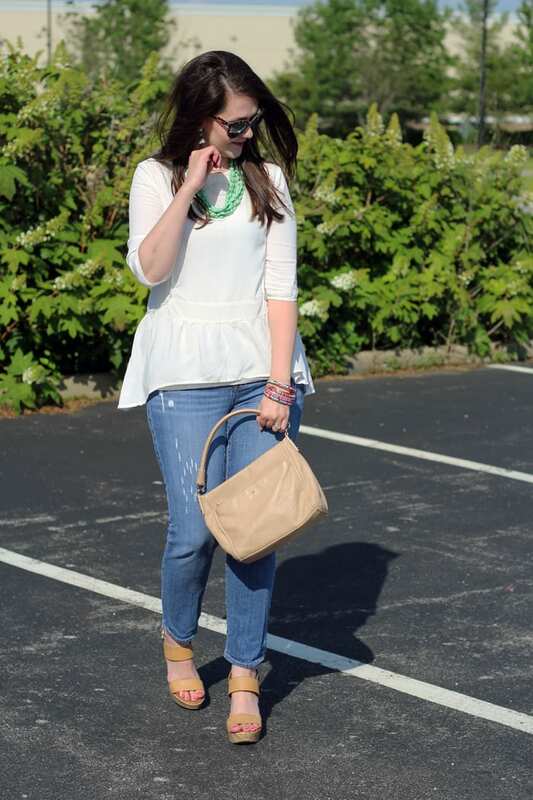 I especially liked keeping the focus on the outfit by keeping my shoes and bag neutral. If you haven’t purchased these shoes yet, you should. 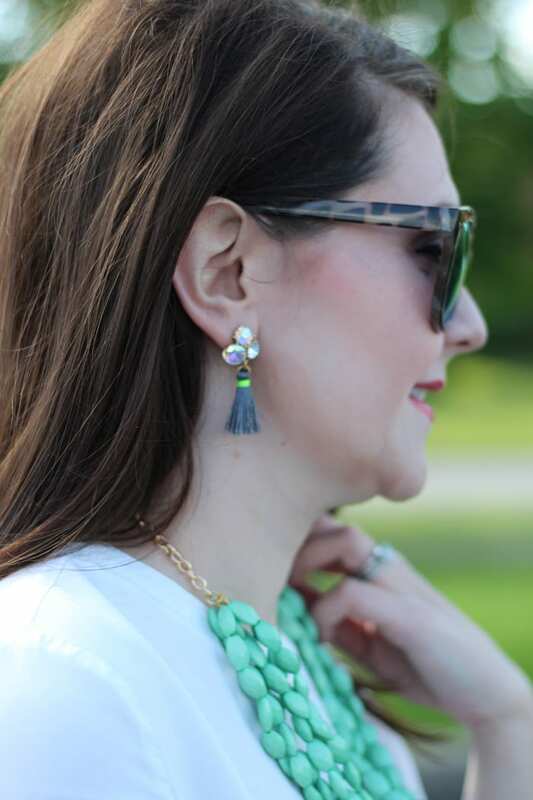 They’re the perfect way to get in on one of summer’s hottest trends at a low price. 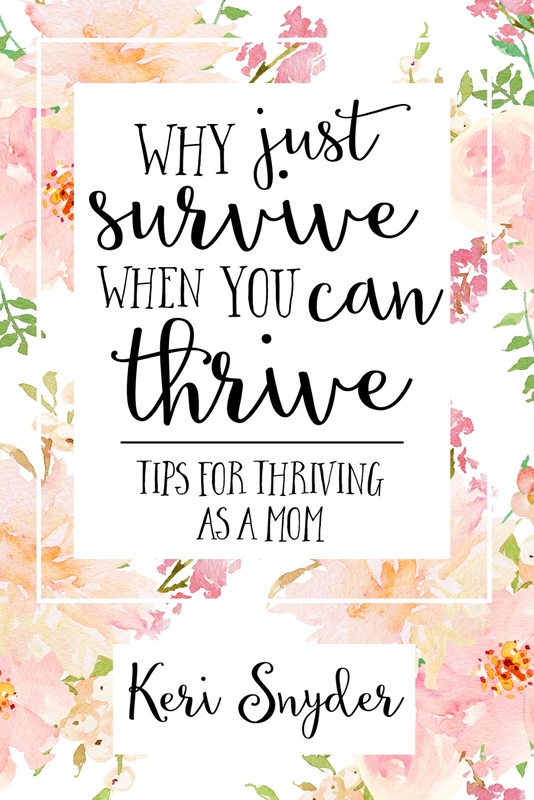 Also, today is a special day for my friend Keri from Living in This Season–Keri is launching her book Why Just Survive When You Can Thrive: Tips for Thriving as a Mom. You can purchase the PDF/eBook version for $5.99 or the printed version for $9.99 (launch week promo). With your purchase, you also get printable scripture cards. These come as a link and are automatically sent to you if you purchase the PDF. 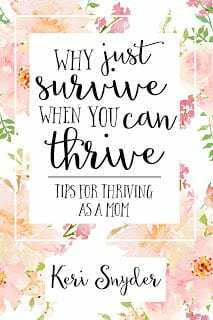 If you purchase the print version, please email Keri at kerisynder@gmail.com with your order # and she will email you the link.